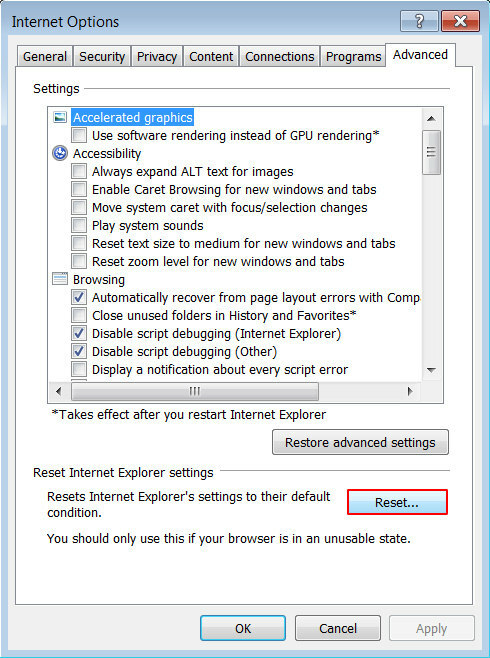 Since Max Adblock app removal is on many affected computer users’ agenda, the focus of this entry is on the adware’s profile and effective system cleanup. Applications engineered to prevent superfluous ads from being displayed during one’s web sessions have been consistently popular due to certain unwelcome peculiarities of the ubiquitous contemporary e-marketing. There is a broad variety of these programs available, many of which are free and some are paid. These are typically web service enhancements that are integrated in one’s web browser for a more hassle-free Internet experience. The problem might be, however, that some applets of this sort, such as Max Adblock, eliminate third-party commercial content on websites while imposing their own. The targeted unsuspecting users encounter an influx of popups, banners and automatically inserted links that make keywords clickable across all web pages. The digital troublemaker mentioned above sticks to a kind of tailgating tactic in order to trick its way into a would-be host computer, though some customers consciously install it from download resources as well. The latter vector of infiltration is by far less frequent, though. It’s common knowledge that makers of freeware use a business model where their products are distributed along with ones created by interested vendors. 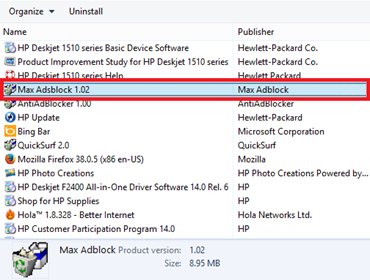 In the case with Max Adblock, its installer is attached to the setups of such utilities as a default object, which might not necessarily be feasible to deselect. It’s no wonder, therefore, that the unwanted add-on shows up on one’s extensions list at unawares. Whereas the commonplace browser helper objects won’t get extensive permissions on the system unless allowed so by the administrator on the machine, Max Adblock offensively obtains those privileges without going through the respective procedure. 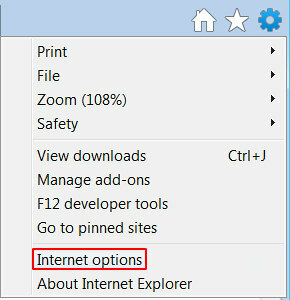 These permissions give the app a blank check for modifying the way pages are presented to the user in Chrome, Firefox and IE. The sites visited via any of the infected browsers will contain advertising content that doesn’t belong there, including comparison shopping fragments, coupons, interstitial ads as well as in-text links that are particularly frustrating. A widespread symptom is ads by Max Adblock that outrageously deceive the user about an out-of-date status of some plugins and critical software, for instance by telling you that Java version on the PC is outdated. Ironically, this piece of malware inundates websites with annoying adverts rather than actually block ads and popups. The way to treat such a manipulator is apparent: it should be uninstalled for good. The rest of this article covers all the relevant how’s in this context. 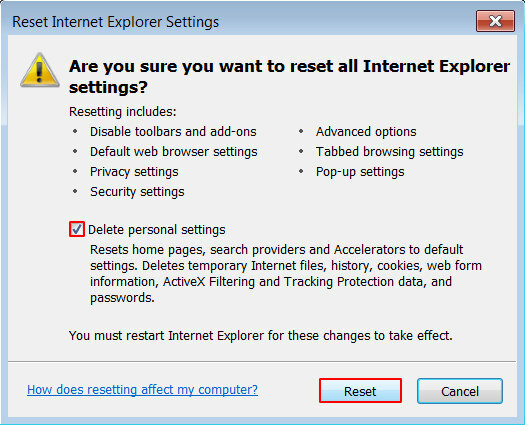 When the software returns a list of malicious and potentially unsafe items found on the PC, select Fix Threats in order to have the Max Adblock Ads infection uninstalled from your machine. An additional virtue of this process is the elimination of other threats that may be active in the background. Given the likely persistence of this adware sample, it’s recommended to repeatedly check the machine for its components after the cleanup procedure has been performed. Rescan your system with trusted security suite to make sure Max Adblock Ads virus extermination has been successful.